James F. Kaiser was born in Piqua, Ohio, on 10 December 1929. He received an E.E. degree from the University of Cincinnati, and S.M. and Sc.D. degrees from the Massachusetts Institute of Technology, in 1954 and 1959, respectively. 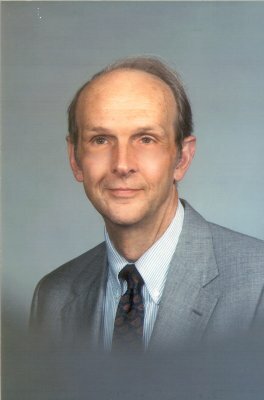 Dr. James F. Kaiser's research, writing, and instruction were major factors in the early and continued propagation of modem digital signal processing technology. Capitalizing on his background in continuous systems and filter design, Dr. Kaiser wrote several key papers on digital signal processing in the 1960s. He presented the idea of the l0sinh window, which could be used both for digital filter design and spectrum analysis. It is now commonly referred to as the Kaiser window. A book chapter he wrote a few years later presented practical design methodologies and the underlying theory of digital filters. He then worked on a team that designed a processor, which could implement a digital filter. When they presented their research at the IEEE convention in 1967, digital signal processing was off and running. Dr. Kaiser also helped build a prototype digital touch-tone receiver, spearheading the implementation of digital filters in hardware form. He began his career at Bell Telephone Laboratories, in Murray Hill, New Jersey, in 1959, and remained there for 25 years. During that time, he led research into digital signal processing, speech processing, binaural hearing, system simulation, comp4ter graphics, and computer-aided design. More recently he has been a visiting professor at both Rutgers University and Duke University. Dr. Kaiser has authored numerous key research papers and has co-authored and edited eight books in the signal processing and automatic control areas, the most recent being Handbook for Digital Signal Processing. A Fellow of the IEEE and the AAAS, Dr. Kaiser has served in a number of positions for the IEEE, the Signal Processing Society, and the Circuits and Systems Society. For six years he was Secretary of the COS Committee of the Commission on Education of the National Academy of Engineering. Dr. Kaiser's many honors include the IEEE Centennial Medal, and the Signal Processing Society's Technical Achievement Award, Meritorious Service Award, and Society Award. He was presented with the Distinguished Engineering Alumnus Award by the University of Cincinnati, as well as the University's Eta Kappa Nu Award. This page was last edited on 1 February 2019, at 19:13.